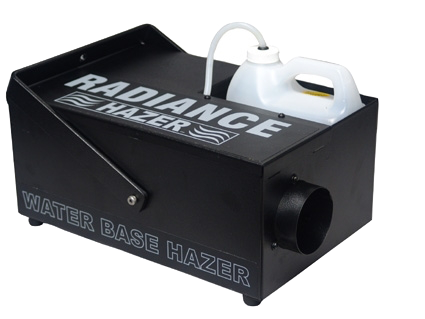 Ultratec´s Radiance Hazer is the next major advancement in Water Based Haze Technology. Once again, Ultratec is setting new standards that all other haze machines will be measured against. Features include: Built-In DMX that controls both the Haze Output and the Internal Fan. This combination offers excellent Haze Control and Even Dispersion.